How to check whether the food ingredients are compliant with Chinese regulations ? Revised Taiwan TCSCA was promulgated on Dec 11, 2013, which will come into force on Dec 11, 2014. It requires new/existing chemical substance to be registered before manufacture or import. On Aug 25, Taiwan EPA issued draft registration guidelines of Taiwan TCSCA for new/existing chemical substance. This webinar will introduce the new development of revised Taiwan TCSCA, focusing on the newly issued draft guidelines for new/existing chemical substance. 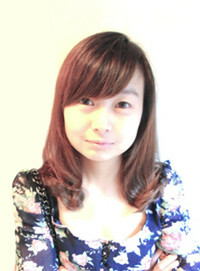 Ms. Jane Song is a senior regulatory consultant with background in Biochemical Engineering. She has been researching chemical regulations in East Asian countries such as Korea, Japan and Taiwan for several years with practical experiences of handling products registrations in these regions. Foreign companies who want to export chemicals to Taiwan. Regulatory affairs specialists involved with chemicals regulations. Responsible persons in chemical products supply chain. After online registration, you will receive a link one day and one hour before the webinar starts. By clicking that link, you shall be able to join our webinar automatically. Please note that space is strictly limited to a maximum of 100 attendees. Please contact Ms. JaneSong via jane.song@cirs-reach.com for the invoice and payment.